To start this blog series rolling, I have decided to write about a common over-use injury affecting young children, Osgood-Schlatter disease. I was recently the physiotherapist for Hockey Victoria’s U13 Carnival in Hobart and found that a number of players in my team currently or previously had an episode of this disease! The challenging aspect of these injuries is the need for daily management due to the high volume of games being played (11 games in 7 days). 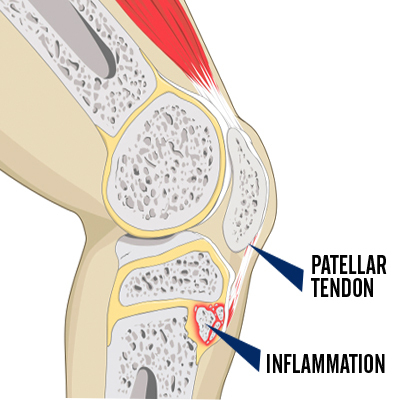 Osgood-Schlatter disease typically affects young athletes, males aged 10-15 and females aged 8-12 (Gholve, 2007). Unfortunately the under 13 boys’ team falls right in the middle of this range! Osgood-Schlatter presents as pain in the front of the knee, just below the kneecap (patella) during and after physical exercise. It is caused due to the rapid contraction of the quadriceps muscle (front of the thigh) constantly pulling on bone that is still growing. This stressing of the immature bone is usually compounded by lack of rest and recovery, as these kids are often training 3-4 times per week for hockey alone, on top of other sports and day-to-day running around! In a tournament environment when a reduction in sport is not possible, the challenge then shifts from ‘curing’ the problem to ‘managing’ and ensuring the players are able to perform as best they can. After all, representing your state in hockey is an amazing achievement! Management at the tournament consisted of lots of massage through the tight quadriceps muscles, icing the affected knees after games, and ensuring adequate sleep each night. I also spent considerable time with each player developing good warm up and stretching habits to ensure that when they weren’t on the physio table, they were still looking after their bodies in the ‘downtime’ between matches, not just rushing to the playstations for FIFA and Fortnite matches. From a personal perspective, having access to these young athletes 24/7 for a week made my job easier as I could monitor their running around off the hockey pitch, a common time for injury flare ups. It also gave me an incredible appreciation for the hard work parents have in managing their child’s injuries over the long term! From an Osgood-Schlatter point of view, the injury is usually self-limiting and tends to resolve within two years, once bony growth of the knee has completed (Vaishya, 2016). Complications can sometimes arise as a result of the large sporting loads placed on children, and for this reason it is important that any persistent aches or pains, especially around joints, get looked at by a physiotherapist. Sometimes it only takes a slight modification in exercises to help with treatment of the condition, and often results in little time missed playing sport. My experience working with these young athletes has helped me develop an appreciation of the stresses placed on their bodies and the need for appropriate treatment and recovery plans – I am happy to say that no players from my team missed a match with an over-use injury! If you’re concerned your child may have this or another type of injury, make sure to give us a call on 9532 8001 or book online at 557.com.au to see a physiotherapist and get a management plan sorted to keep them on the pitch!